The Texas Legislature recently passed a bill amending the Texas Uniform Trade Secrets Act (“TUTSA”), scheduled to take effect September 1st of this year. Along with a few minor modifications, there are five notable changes that any business who carries a trade secret may want to familiarize themselves with, before they decide to file a claim in court. (1) The first change to TUTSA was to expand the definition of Trade Secrets within the Act. Before, Trade Secrets were defined as “Information, Including a Formula, pattern, compilation, program, device, method, technique, process, financial data, or list of actual or potential customers or suppliers. “This definition was expanded to include “business, scientific, technical, economic, or engineering information,” taken verbatim from the federal Defend Trade Secrets Act (“DTSA”). Also added to the definition were “design, prototype, plan, program device, code, and procedure,” as well as a clause which reads “whether tangible or intangible and whether or how stored, compiled, or memorialized physically, electronically, graphically, photographically, or in writing.” This applies so long as the owner has taken reasonable measures to protect his trade secret. While TUTSA moves to align its definition more closely to the DTSA, it is in large part more inclined to include more elements under the umbrella of trade secret, such as the inclusion of lists of actual or potential suppliers, or customers. TUTSA encompasses all types of information, whereas DTSA requires the information be reasonably related to financial, business, scientific, technical, economic, or engineering information. (2) The modifications made to TUTSA will also clarify the requirements for a court ordered injunction. Previously, TUTSA allowed for relief after actual or threatened misappropriation of a trade secret. This remains true, although the amended version now includes language which suggests that general knowledge, skill, and experience that a person acquired during employment does not qualify for injunctive relief. This is simply a clarification which the legislature thought necessary to include. (3) Willful and malicious misappropriation are added to the definitions section of TUTSA, defined as “intentional misappropriation resulting from the conscious disregard of the rights of the owner of the trade secret.” Clear and Convincing was also added to the definitions section as “the measure or degree of proof that will produce in the mind of the trier of fact a firm belief or conviction as to the truth of the allegations sought to be established.” This simply establishes the degree of proof plaintiffs are held to. (4) The amended act also defines the owner as “with respect to a trade secret, the person or entity in whom or in which rightful, legal, or equitable title to, or the right to enforce rights in, the trade secret is reposed.” No changes, however, were made to the claimant section of TUTSA, which remains to be a key distinction between TUTSA and DTSA. – (7) the stage of the action. Compared to DTSA, a few key differences remain in TUTSA. The definitions of “trade secret” and “misappropriation” in TUTSA, while tailored to mirror some of the language in DTSA in the amended version, are broader and more inclusive than the definitions in DTSA. TUTSA provides means to grant protective orders for trade secrets with the balancing test presented in the amended statute. Some provisions in DTSA that remain different include the whistleblower immunity clause, which grants individuals who disclose a trade secret in confidence to their attorney or the government immunity if their purpose is to report or investigate a suspected violation of the law. DTSA also contains an ex parte seizure provision allowing the court to seize property in order to prevent the spread of a trade secret in extraordinary circumstances. The amended TUTSA became more aligned with DTSA with its inclusion of the injunctive guidelines and limitations, however, differences still remain. TUTSA did not go so far as to disallow conditions on a persons employment, or conflict with state law that prohibits restraint on the practice of a lawful profession, trade, or business, where DTSA has these restraints. Choosing whether to make your trade secret claim in State or Federal Courts will largely affect the way a trial will play out, and could ultimately change the outcome. There are many factors that go into this decision, and you do not want to go in the wrong direction. 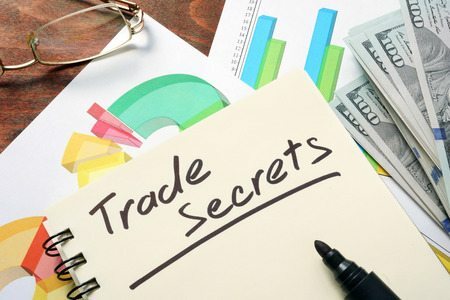 If you have any questions regarding trade secret law and your options, contact an experienced Traverse Legal trade secret attorney to help work out your best course of action.